The results of our Club mail in ballot/election are as follows: Kim LeSage, Raytown Rotary will be representing District 6040 on the Director Nominating Committee for Zone 31 and Dan Hall, Lees Summit Rotary will be the alternate. Thank you to all the clubs who participated in the election and to Kim and Dan for volunteering their time to be on this committee. Victory Chevrolet of Savannah is proud to be the presenting sponsor of the Andrew County Rotary Club-Operation Warmth Project. This is an annual and ongoing program that is administered thru the Andrew County Rotary Club. Coats were purchased this year from a generous donation from Victory Chevrolet. 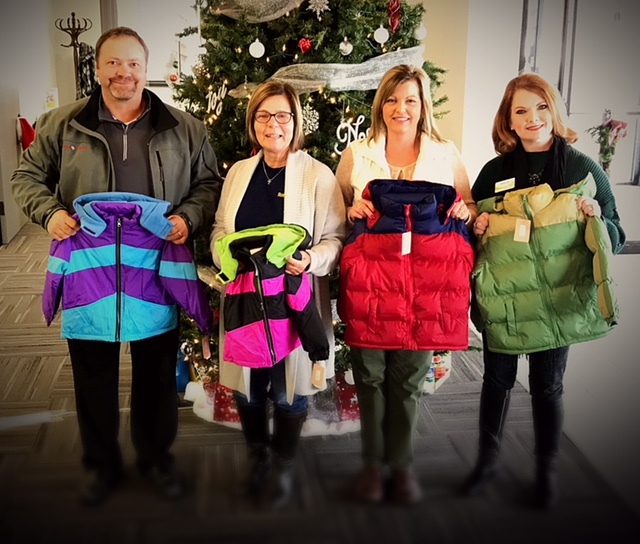 Volunteers gathered recently at Bank Midwest in Savannah for the sorting and distribution of coats for area Andrew County children in need of warm outerwear this winter season. Volunteers from Andrew County Rotary also provide hats and gloves with the coats that are distributed in area schools. Additional donations of hats and gloves for school aged children thru adults are being collected by Andrew County Rotary Club members. Donations can be dropped off at Bank Midwest in Savannah. Pictured are Chris Yates of Victory Chevrolet along with Pastor Dee Pennington-Club Administrator, Sheelah Lyle-Past President, and Becky Gall- Immediate Past President of the Andrew County Rotary Club. 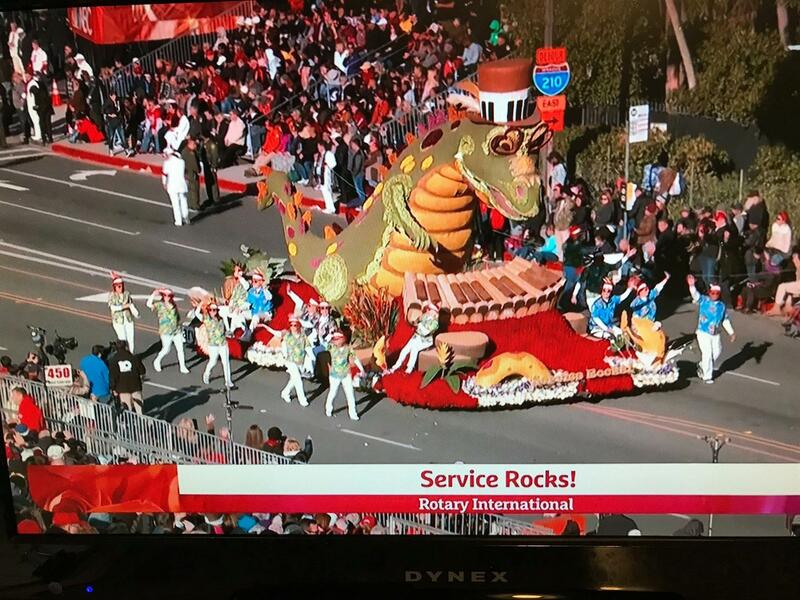 Rotary International once again had a float in the Rose Bowl Parade New Years Day. We agree Service Rocks! 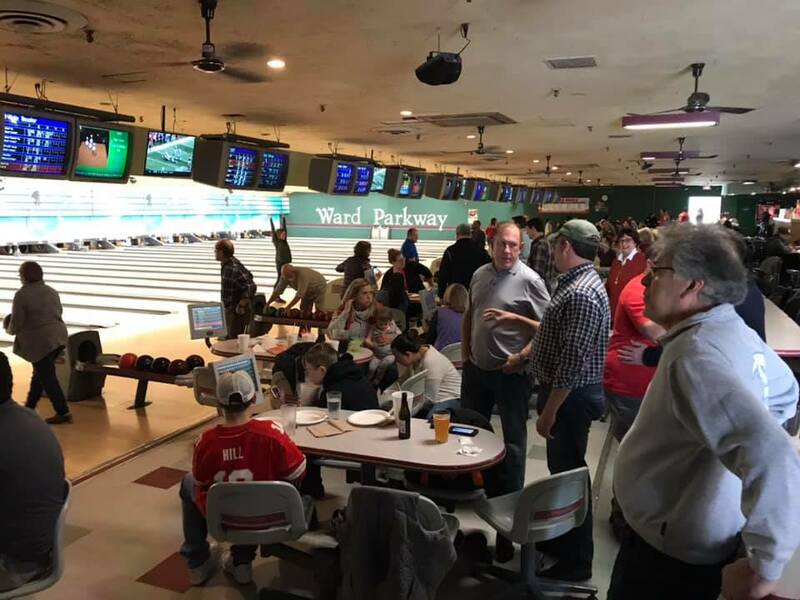 Kansas City Club 13 and Waldo Brookside participated in Pins for Polo to help raise money for Polio Eradication. Meet the two newest members of my family. 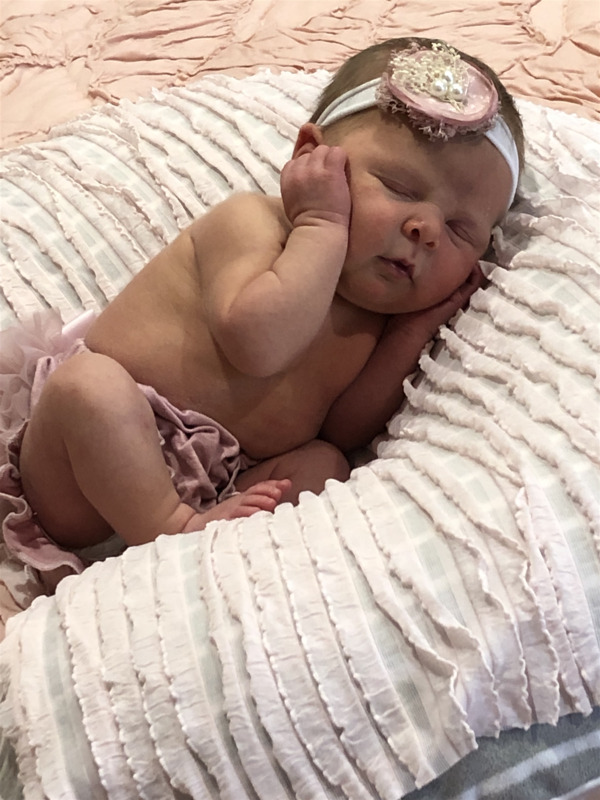 Adah Pearl Mattingly was born to Chillicothe Rotarians (and daughter and son-in-law) Emily and David Mattingly on Dec. 11th. And, Lea Victoria was born to my German daughter Anna Uhlitz and her boyfriend Rico Weidemann Nov. 25th. The holidays always bring such joy when a new baby is around. I have to admit that Adah Pearl was spoiled rotten. And, I can’t wait to see Lea Victoria when we visit Hamberg, German in June at the Rotary International convention. I hope your holidays were filled with fun and laughter and pure joy. P.S. As you make those New Years Resolutions, please make sure Rotary is part of that list. Include those special things in your life that you’d like to “Be The Inspiration” for in 2019. District 6040’s Rotary Leadership Institute (RLI) is offering a unique opportunity for District Rotarians in 2019 – a chance to complete the three-day course in just five weeks. This is the first time the RLI course has been offered on weekday evenings in the district. The first 2019 event will take place in Chillicothe on March 9, when all three Parts of the course will be available. Those sessions will begin with a light breakfast at 8 a.m. and will conclude by 3:30 p.m. Lunch is included. Classes will be limited to 16 persons and will be facilitated by trained and experienced District 6040 facilitators. Adult-learning techniques with open discussion are used to encourage everyone to participate. For the first time ever, two evening courses will be held for the convenience of metro KC Rotarians. On March 19 and 27, Part II of the RLI course will be offered for those who have completed Part I. These sessions will begin at 5:30 p.m. and end at about 8:45 p.m. at the Woodneath branch of the Mid-Continent Public Library, 8900 NE Flintrock Road, Kansas City 64157. Then, on April 10 and 15, Part III of the course will be offered at these same hours at the Woodneath library branch. Woodneath is on Flintrock Road northwest of Liberty, about a half-mile north of Highway 152. When you see the white rail fence, you’ve arrived! On these four evenings, a light dinner will be served. Each evening, there will be two or three classes of about one hour each. Rotarians are high achievers, but it is not possible to take more than one Part in a single day because each Part is a full-day course. However, this schedule is the next best thing -- it will enable ambitious Rotarians to complete the entire course in five weeks by attending Part I in Chillicothe and the evening courses for Parts II and III in Kansas City. The fee to attend each Part of RLI is $50, and the members’ clubs often pay that fee. Registration is now open on the HOA-RLI Website, www.hoa-rli.org. Please contact District Coordinator Jerry Venters with questions: 816-665-9272 or jvrotary6040@yahoo.com. 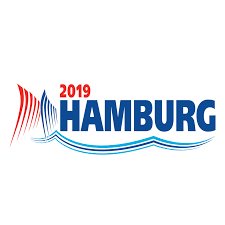 You’re invited to attend the 2019 Rotary International Convention, 1-5 June in Hamburg, Germany, where together, we will Capture the Moment. The Rotary Convention offers something for all members. It’s where Rotarians unite and take action to create positive, lasting change in the world. Whether you’re new to our club or a longtime member, you’ll have an unforgettable experience at the convention. Visit riconvention.org to learn what’s planned. You’ll discover new ideas and gain new skills from a variety of engaging speakers and breakout sessions. You’ll hear fresh perspectives and learn about Rotary projects from all over the world in the House of Friendship. You’ll experience the blend of historical and contemporary culture that makes Hamburg such a distinctive place. You’ll learn the latest news, ideas, and strategies that drive Rotary. You’ll connect with people of action from around the globe. You’ll come back inspired, excited, and rejuvenated. Members often return from the convention ready to increase their Rotary service. I’m confident you’ll come away with the same feeling. Melissa Koch is this year’s GSE team leader. She is a second generation Rotarian serving in St. Joseph East with her father for the last 10 years. She is the Immediate Past President of her club serving 2017-2018, the year of Past RI President Ian Riseley. Melissa had the pleasure of hosting President Riseley in St. Joseph on behalf of her club for a tree planting ceremony! She graduated from the University of Missouri-Columbia with a Bachelor of Social Work degree in 1989. This degree has provided the ability to work in many vocations. She has an extensive background as a medical social worker in home health, dialysis, and hospice in the first half of her career. She stumbled into a career of non-profit work and fundraising while looking for a more flexible work schedule. She has worked for the United Way and most recently as the CEO of St. Joseph Habitat for Humanity. Though semi-retired now, Melissa enjoys consulting with regional non-profits in the areas of fundraising and organizational management. She has been married 29 years to her husband, Vincent. They have two daughters, Morgan and Molly. In their spare time they mentor Justin through Big Brothers Big Sisters, and love sharing with him the hope and opportunity he can achieve with hard work! Melissa enjoys public speaking and is often a Master of Ceremonies at local charity events, loves coffee, reading, travel, and wants to get back into golfing! 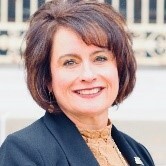 Lisa has been a member of the Rotary Club of Kansas City Plaza since 2010. Prior to becoming a member, she was actively involved in the club with her husband for many years. She has been an officer of the club in Club Service, International Service, Programs and Grants. Lisa is a graduate of The Heart of America Rotary Leadership Institute and was the primary contributor in managing a $32,000 Global Grant for a Student Empowerment/Education Program in Malawi. She is also a Paul Harris Fellow +1. Lisa also volunteers her time as a ShelterBox Ambassador and is currently the ShelterBox Lead Ambassador for the Midwest. 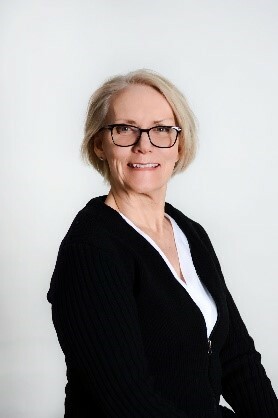 She participates in speaking engagements, community events and other fund raising and awareness activities as well as supporting her husband who is a ShelterBox Response Team member. She has been working with ShelterBox since 2008. 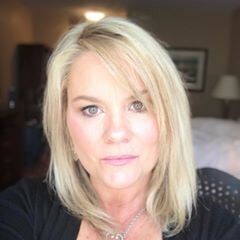 Lisa is the Chief Operations Officer of S2000 Corp. a software and service organization with a suite of products providing insurance verification, electronic document issuance and prequalification services to companies around the world. She has been employed with S2000 Corp for over 18 years and has worked on development of software, policies, procedures, infrastructure as well as day to day operations of the organization. Lisa currently lives in Leawood, KS with her husband Jeff. The couple have 5 children Sydney, Nick, Josh, Kaycee and Blaine. Ashley Starrett calls the small rural community of Unionville, Missouri home. She recently graduated college with not one, but two degrees. She attained a bachelors in Biology Pre- Dental and a bachelors in Bi-Vocational Ministry. She plans to continue her education in the field of dentistry after spending time traveling with Rotary. Rotary has been a part of Ashley’s blood since before she was born. Her Father and Grandfather were the key to chartering several clubs in northern Missouri. Ashley herself has helped start an interact club at her high school and later helped start a Rotaract club at Missouri Southern State University. She paid her way to her first Paul Harris and is a dual member for Rotary. Ashley has a long lineage of agriculturalist in her family and considers herself a purveyor of the western lifestyle. In her free time she likes to surf, wakeboard, and attend concerts and rodeos. She always tells herself that if there’s ever an opportunity to do something at a small scale of what you really want to do in the future; then you should do it! 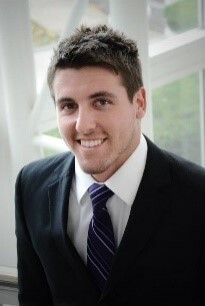 Cutter Gale graduated from Missouri State University in Springfield, Missouri with a Facilities Management degree. During his time at Missouri State, he obtained his Real Estate license and was a practicing Realtor while he managed Falstaff’s Local, a popular locally owned sports bar. He dedicated most of his free time to his professional business fraternity, Delta Sigma Pi, where he held several chairs and routinely worked on community service projects at Fair Haven Children’s home. For the past 2 two years, he has been the Facilities Manager for his family business, Gale Communities - a residential/commercial developer and home builder in Lee’s Summit that has received more environmental preservation awards than any other developer in the Midwest region. Cutter coordinates tenant construction projects and is in charge of operations for four commercial buildings in the New Longview Commercial District. He also assists in the development of the 1200 acre Winterset neighborhoods. A primary current responsibility involves managing a Missouri Native Plant installation to benefit the local ecosystem and the watershed. Cutter is a member of the Lee’s Summit Sunrise Rotary Club and recently completed the Lee’s Summit Chamber of Commerce 2018 Leadership Lee’s Summit Program – a nine-month professional program designed to enhance leadership skills through city and business tours, educational seminars, and networking events. He lives in downtown Lee’s Summit and enjoys spending time with his family, hiking, sailing, and using any excuse to get outside and active. Born and raised in Kansas City, Missouri, Susanne McCambridge now lives in a small lake community in the southern suburbs of the city. Susanne holds an Associate’s Degree in Applied Science, and cared for animals, large and small, in a veterinary clinic for 12 years before choosing to stay home to raise her family. She is currently a Senior Real Estate Professional, enjoying helping people fulfill the real estate goals. Susanne is a mother to two girls: Amanda, a doctor of Pulmonary and Critical Care at Mayo Clinic; and Emiley, an International Business Professional with Hallmark Cards in Kansas City. Susanne recently celebrated 35 years of marriage with her husband Mike, and celebrated this milestone as a family in Iceland. She and her husband cherish their girls as precious gifts. Susanne is a member of Lee’s Summit Rotary and is active in the organization as the Youth Services Chair and liaison for the Interact Program. 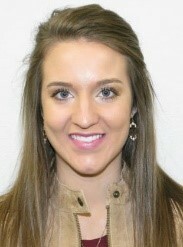 She also chairs the SCRYE program within her club, working with inbound and outbound students. An active member of her beloved parish, she is a Eucharistic minister visiting the homebound and sick of the community, and she has taught students as a catechist for 25 years. She is also passionate about bettering her community, and therefore volunteers to distribute meals to the homebound through the One Good Meal program. She also volunteers as a counselor to children and adults for the faith-based equine therapy organization Returning Glory. Because of her work within the community, Susanne received the award for Most Kind Person in Lee’s Summit in 2012. Susanne’s desire to share peace, service, and respect throughout the world fuels her passion for traveling, and she is excited to represent Rotary in Australia in 2019!